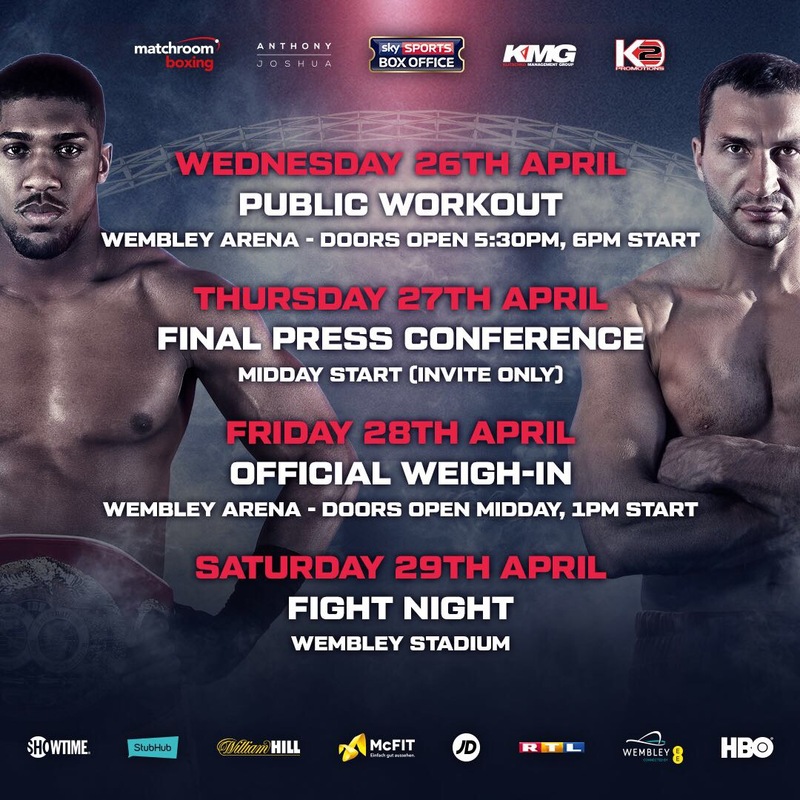 On Wednesday evening, 26th April 2017, Anthony Joshua MBE and Wladimir Klitschko will both be performing public workouts from Wembley Arena ahead of their Heavyweight title fight on Saturday night. 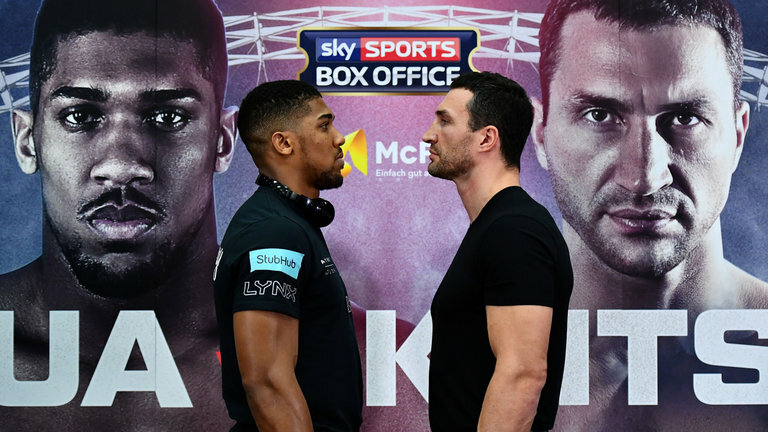 Both fighters will go through their training routines in public before the two clash for the IBF, WBA and IBO Heavyweight titles on Saturday 29th April in front of a sold out 90,000 Wembley Stadium, live on Sky Sports Box Office. The public workout will also involve the fighters on the bumper undercard such as Team GB trio, Lawrence Okolie, Joe Cordina and Josh Kelly, who shall kick off the workout from 6pm. Olympic Gold Medallist Katie Taylor will also be at Wembley Arena ahead of her first pro title fight against Nina Meinke in an eliminator for the WBA Lightweight title where the Inter – Continental belt will be onthe line. Luke Campbell MBE is the fourth Olympic gold medallist on the bill and he faces his toughest night in the paid ranks to date when he meets former World champion Darleys Perez in an eliminator for the number one spot in the WBA at Lightweight, while Scott Quigg fights under new trainer Freddie Roach for the first time against Viorel Simion in an eliminator for the IBF Featherweight crown. Full details of the big fight week schedule are below.